Oh, hey there. Old married lady here. This week’s blog posts seem to have a common theme. On Sunday, Mr. Cotten and I will celebrate our wedding anniversary. Our SEVEN YEAR wedding anniversary. For two people at the ripe age of 27, that’s a long time. Like, over a third of our lives, long. 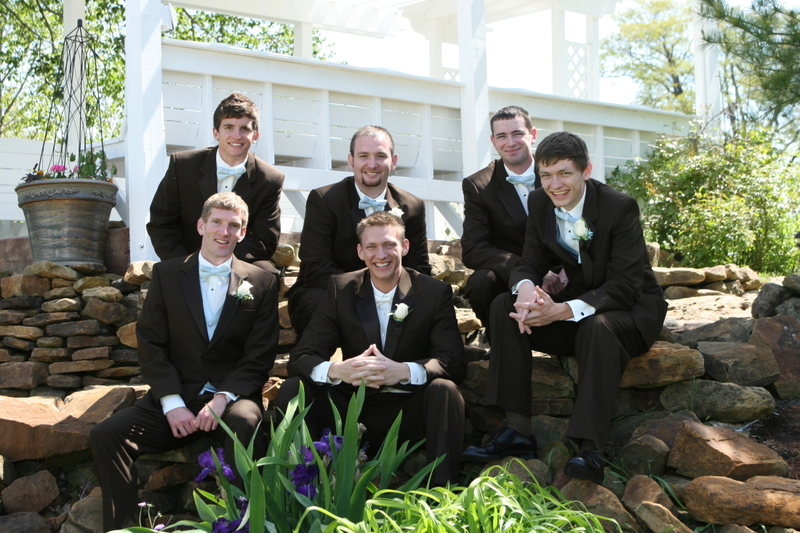 Since our own day, we have had the honor of standing up in three different weddings. We have attended countless others over the years. So, while we don’t pretend to be experts on marriage (because, let’s be honest, no one can make that claim), the Cottens are pretty proficient in weddings. Every wedding has been different. Each has its own unique theme, scheme and highlights. We’ve carried fake flowers, real blooms, and even a bouquet of feathers and rhinestones. We’ve worn full length dresses and tuxedos in formality, and we’ve donned short tulle and vests in a fun modern affair. We’ve seen horse-drawn carriages, beautiful skyline views and even a Nintendo groom’s cake. There have been church weddings, outdoor weddings, barn weddings, country club weddings, weddings in an airplane hanger and more. And then, there was our wedding. Courtny and I were married two years before the idea of Pinterest even existed. Etsy was still in its infancy. We didn’t have centerpieces. We didn’t have a candy bar, or a special playlist, or even a theme. My wedding dress cost $400, off the rack. My mom picked out the bridesmaid dresses, because that’s what we could get in our time frame. 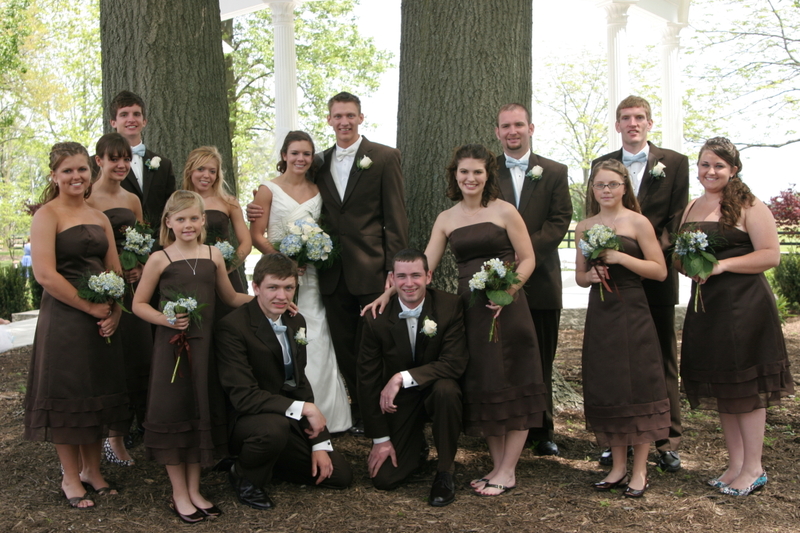 I have exactly 29 professional wedding photos, because 2008 was before the time of Dropbox and photo CDs. I’m pretty sure I wore press-on Walmart nails. There was nothing fancy about our day. We didn’t have a dinner. We didn’t have a bar (a huge money saver when you’re both minors anyway). In fact, an of-age groomsman and my uncle smuggled us champagne for our honeymoon – two nights in a cabin in tropical Nashville, Indiana. I’ve been asked many times if I would re-do my wedding in the future. Perhaps on our 10 year or 20 year anniversary as a renewal of vows. I’ve thought about it, but I’ve come to the conclusion that I don’t need a Pinterest wedding. And guess what? Neither do you. Now, I’m definitely not knocking all the beautiful weddings I’ve attended over the years. There have been so many wonderful celebratory ideas, and so many unique touches. I love them all. Would this self-proclaimed party planner love to have a wedding full of details and decor? Absolutely. I would kill to have the kind of wedding photos my friends have. If I could do it again, I would totally have a live band and a dance floor. I may even ask for an ice sculpture martini luge, just because that sounds awesome. 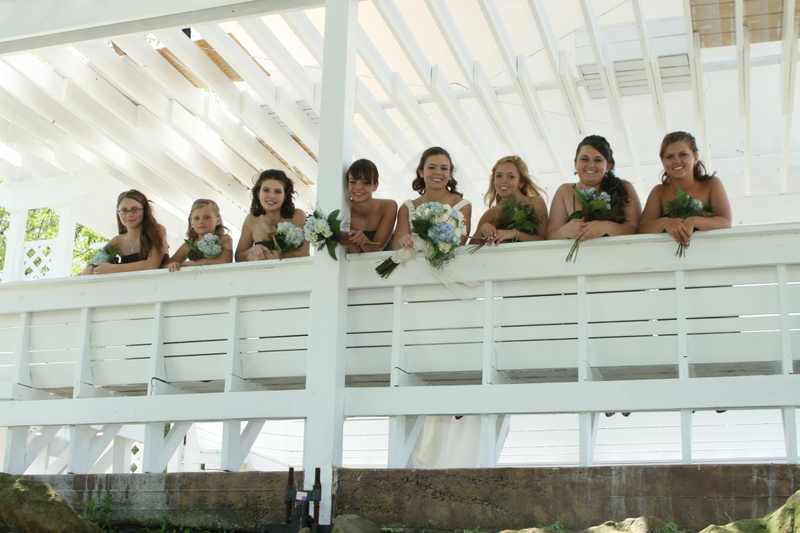 But looking back, I’ve noticed that there has been only one common thread in all of the weddings I’ve witnessed. It happens to be the most important… and the only thing that is actually needed. At the end of the day, you are married to your best friend. I tell this bit of advice to all of my bride-to-be friends when they’re stressing over seating arrangements and wedding favors. I know they don’t take me seriously at the time (because sometimes missing bridesmaid dresses steal the show… as in, that happened), but I hope they see my point once the ink is dry on their marriage certificate. Everyone has a favorite part of their wedding day, whether it be the first kiss or the last dance. Mine? 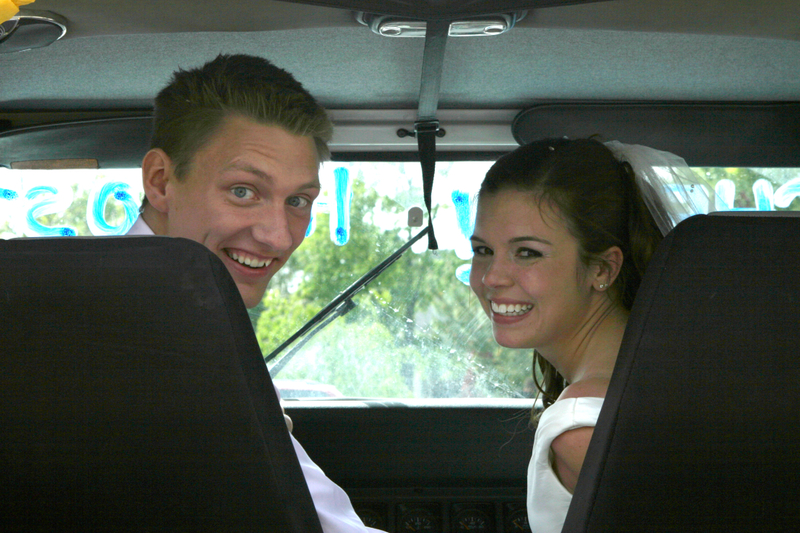 My favorite part of our wedding day was leaving. I left my wedding as Mrs. Cotten. I was married to the love of my life. This really was forever. We jumped in to Courtny’s 1995 Jeep Wrangler, and we took off down the country back roads. We didn’t have a destination, we were simply wasting time until we could go back to the venue and grab our bags after the guests left. Perhaps it’s cliche, but that drive was the perfect metaphor of our lives in that moment. We were young, together, and had nothing in our way. The future was as clear and beautiful as those county roads. We parked at a tiny chapel, looked at each other, and laughed. Could this be real? Were we really husband and wife? I don’t remember who attended my wedding. I have no idea what flavor of cake we served. My sister told me the other day that she gave a speech – and I have no idea what she said. You see, I didn’t need any of it. What I really needed was the man who still stands beside me today. Enjoy every minute leading up to your wedding. Browse Pinterest. Be crafty. Go to bridal shows, and have as many wedding showers as you can handle. There is something to be said about planning the ceremony that will unite you with another human for the rest of your God-given life. It’s fun, and it’s exciting, but don’t ever stress. I know, easier said than done, but try to take the advice of this old married lady. Even if your groomsmen are late to the ceremony because they had the hankerin’ for Wendy’s hamburgers (that happened), or if your bridesmaids do a little damage to your future father-in-law’s car while decorating it for the getaway (also, might have happened), it won’t matter. Pinterest trends will fade. Regardless of the wedding party’s antics, at the end of the day you’ll be married to the person you love. And personally? That’s all I need. Who has the craziest wedding story? And… go. I love this. I actually didn’t even want a wedding, but we had one to appease our families. Marriage was important to us – not a fancy party. Sure, I wanted everything to look nice. But we stuck to a strict budget and DIYed just about everything. Happy (early) Anniversary! So true! I have a series called “A wedding is a day, a marriage is a lifetime”. I am so glad that I got married when pinterest wasn’t invented yet, digital prints was just coming onto the wedding scene and my photographer thought digital was dumb. I have 30 rolls of film sitting in a box in my closet. I wouldn’t have changed anything either! Ah! I was going to do one of these posts…so cool! 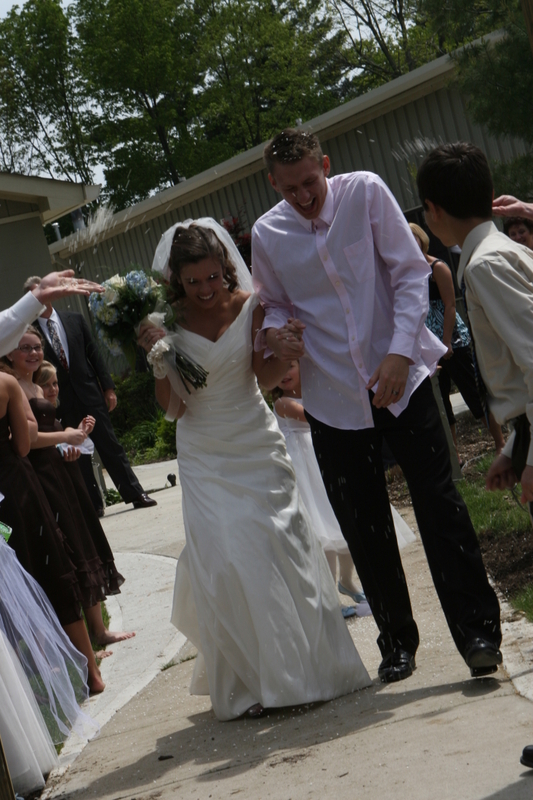 Hubs & I were married on Memorial Day weekend 5 yrs ago! I am soooo thankful that Pinterest wasn’t a thing then…Happy Anniversary! With great partners, life’s just more fun! Great post! Erik and I are yet to have a ceremony (we just went to the courthouse) but I can’t wait to plan it. We are shooting for next year. Our anniversary was yesterday and we are celebrating this weekend. Happy (early) Anniversary to you and Courtny.